Grigor Dimitrov is a professional tennis player of Bulgarian origin. Dimitrov is the only Bulgarian player to feature mong the top ATP10 Singles and earn prize money of $5m as of 2015. He was ranked at 'world number one' in his junior career. He won the Boys' Singles titles at the Wimbledon Championships and the US Open in 2008. Grigor Dimitrov was born on May 16, 1991 in Haskovo, Bulgaria. His father, Dimitar was a tennis coach and his mother, Maria was a sports teacher and former volleyball player. Dimitrov started playing tennis from the tender age of five. Initally, he was coached by his father. Dimitorv enrolled in the Sanchez-Casal Academy. His mentors were Pato Álvarez and Emilio Sánchez. Dimitorv joined the Patrick Mouratoglou's Tennis Academy in Paaris, France in 2008. 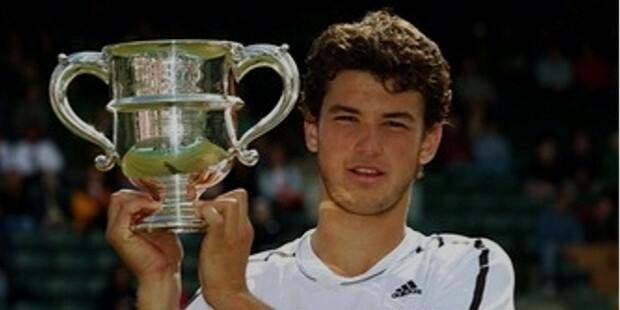 Grigor Dimitrov won his first junior cup, the U14 European title at 14 years of age. He followed this victory by bagging the Orange Bowl U16 Boys Singles in 2006. Dimitorv was declared the “Eddie Herr International 2007 Rising Star”. Dimitrov debuted in the Davis Cup in 2008, at the age of 16. He represented his country and won the 'singles' and the 'doubles', placing Bulgaria in the second division of the Europe/Africa zone. Dimitrov won the Davis Cup for Bulgaria against Hungary in 2007. He won the Wimbledon and the US Open in 2008. His victory earned him a 'wildcard entry' into the 2009 Wimbledon. Dimitrov was ranked as 'world number three' at the end of 2008. 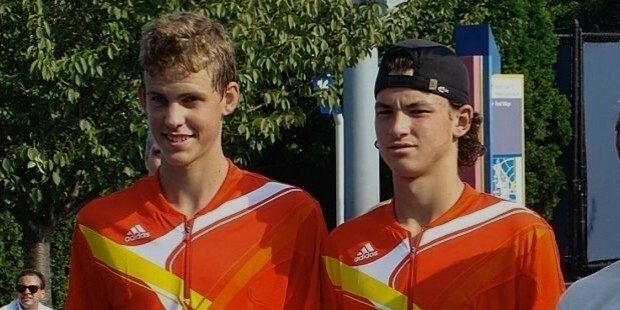 Dimitorv played his first professional match in 2008 on clay in a futures tournament in Barcelona and his first ATP match at the Ordina Open. His victory in the Madrid futures tournaments earned him a 'wildcard entry' into the Mutua Madrileña Madrid Open. Dimitrov experienced his first ATP level win in the first round of the Davidoff Swiss Indoors. He enjoyed his first ATP Main draw win in the ABN AMRO World Tennis Tournament in 2009 and his first doubles challenger title at the ATP Challenger Trophy. Dimitorv qualified for the quarter-final of Internationaux de Nouvelle-Calédonie's challenger event and in the Honolulu Challenger in 2010. 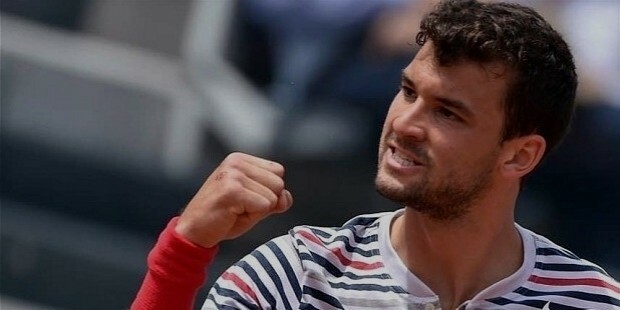 Dimitrov performed well in the Marburg Open and futures torunaments, winning two matches Germany and one in Spain. Dimitrov was placed among the top 250. His spat of good luck had started! Dimitrov bagged the IPP Trophy and titles at the Hang-Sat Bangkok Open and Chang-Sat Bangkok Open. Dimitrov attained the honour of being the topmost Bulgarian tennis player following the 2011 Australian Open. He qulaified for the ABN AMRO World Tennis Tournament and won the Challenger DCNS de Cherbourg. Dimitrov was the first Bulgarian to be seeded at an ATP World Tour tournament and to make it to 'doubles finals' at an ATP tournament. By the end of 2011, Dimitrov featured at 'number 76'. Dimitrov played his first tournament, the Hopman Cup in 2012. He tasted his first victory against Mardy Fish of the USA, a 'top 10 player'. 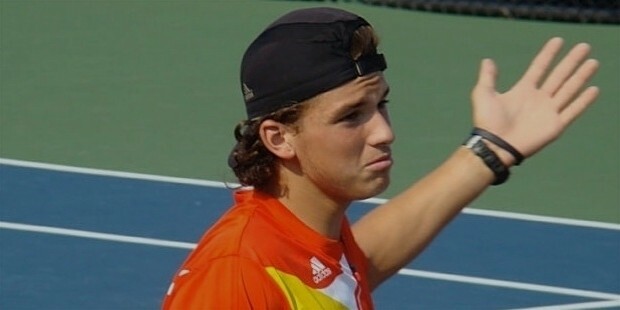 He won the first round at the BNP Paribas Open but lost in the second round. Dimitrov was the first Bulgarian male tennis player to reach the ATP semi-finals at the Aegon Championships. He won the first round of 2012 Wimbledon. Dimitrov qualified for the semi-finals in the Swedish Open. Dimitrov represented his country in the 2012 Olympics. He reached the second round at the PTT Thailand Open and qualified for the Rakuten Japan Open Tennis Championships. He did not win the championships though. 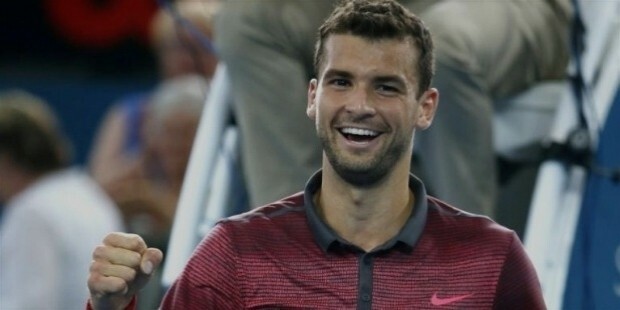 Dimitrov qualified for the Shanghai Rolex Masters event. He was ranked at 'world number 48' in singles at the end of 2012. He played in the Davis Cup competition in 2012 and once again brought victory to his country. Dimitrov achieved the honour of being the first Bulgarian tennis player to qualify for the finals at the ATP Singles, by qreaching the finals of the Brisbane International in 2013. It is no mean feat that though Dimitrov lost the Australian Open 2013, he ranked among the 'top 40'. He beat his opponents in three sets at the ABN AMRO World Tennis Tournament. Dimitorv was the first Bulgarian player to be seeded in Masters 1000 event. He played well at the clay-court Monte-Carlo Masters and reached the 'top 30' in ATP's rankings. Dimitrov tasted his first big victory at the Mutua Madrid Open where he defeated Novak Djokovic. He was first Bulgarian player to compete in a Grand Slam tournament and to qualify for the 'third position'. Dimitrov was planted 10th at the grass season of the Aegon Championships. He qualified for the semi-finals at Swedish Open and participated in the US Open series. 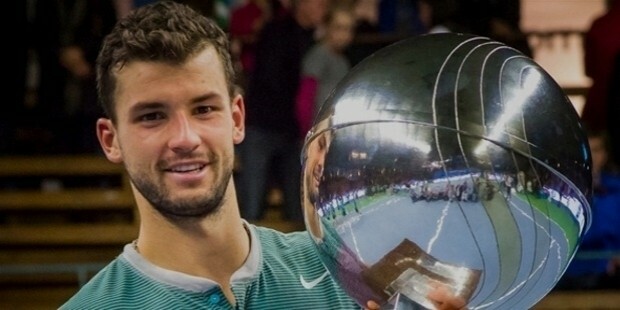 Success smiled sweet on him when Dimitrov bagged his first ATP title at the If Stockholm Open. He was the first Bulgarian male player to win this title. Dimitrov ended his 2013 season at the BNP Paribas Masters, and ranked 23rd in singles and 68th in doubles. He was voted 'second' for the “Bulgarian Sportsperson of the Year” award. Dimitrov started his 2014 season with the Brisbane International. He played in Kooyong, Australia in an exhibition match. Dimitrov was the first Bulgarian player to reach the 'world's top 20' owing to his career-best performnce at a Grand Slam event. He particpated in the Acapulco hard court event, where he beat Andy Murray in the semi-finals. He won his first ATP 500 level tournament, grabbing the 16th ATP rank. The tournament at Miami placed Dimitrov at 'number 15'. He represented his country at the Bulgarian Davis Cup and won. His game at the Monte-Carlo Masters clay court event earned him the 'number 14' rank. Dimitrov won his third ATP title and his first on clay court at the Bucharest clay court event. Dimitrov played at the Italian Open, which marked his best ATP Masters performance. He won the Queens grass court event. Dimitrov qualified for the semi-finls of Grand Slam. He was the first Bulgarian player to do so. Dimitrov ranked at 'world number nine'. Dimitrov played at the Washington Open hard court event, Cincinnati Masters, China Open tournament, Beijing and the Shanghai Rolex Masters. He was seeded 11th in the Wimbledon Championships 2014 and reached the semi-finals. Dimitrov was selected the “Bulgarian Sportsperson of the Year”, the first Bulgarian to have received this honour. Dimitrov was seeded 10th at the Australian Open 2015. He played in the Rotterdam Open indoor hard court event. 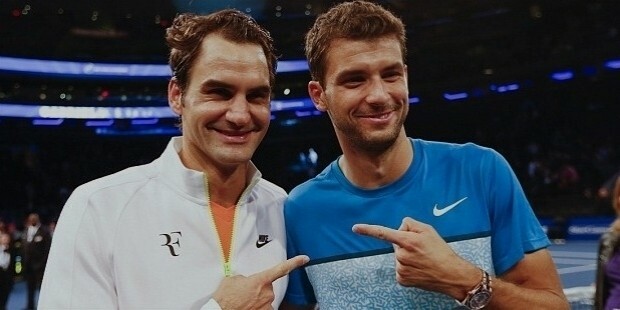 For Dimitrov it was a big day when he defeated Roger Federer in an exhibition match at Madison Square Garden. Dimitrov played his first match of the seson on clay at the Monte-Carlo Masters. He participated in the Istanbul event's first edition, in the Madrid Masters and the Rome Masters. Dimitrov failed to retain his title at the Queens grass court event. He faced defeat at the French Open 2015 and in the third round of the 2015 Wimbledon Championships. Dimitrov resurfaced in the Davis Cup 2015, where he won all the matches. Dimitrov is ranked 'world number 28' at the beginning of the 2016 season. He lost the third round of the 2016 Australian Open to Roger Federer. Dimitrov was involved in a love relationship with the Russian professional tennis player, Maria Sharapova since 2012. They split up in 2015. Dimitrov is rumoured to be dating former Pussycat Dolls frontwoman Nicole Scherzinger. Dimitrov speaks English. His hobbies are computers, watches and cars. He enjoys the nickname, “Beby Fed”, because of the similarities in the playing style and talent between Roger Federer and him. Dimitrov was declared the “Best Young Tennis Player in Bulgaria” in 2005 and the “Bulgarian Sportsperson of the Year” 2014.